As the early stages of the 2016 Presidential Election sweep the nation, young people across the country are getting involved, and Hopkins students are no exception. Hilltoppers have spent time working for major Presidential candidates on both sides of the aisle, canvassing, attending town hall meetings, and sometimes meeting the candidates themselves. Campaigning is a required part of the 21st Century Democracy elective taught by Assistant Head of School John Roberts. Students must campaign five times municipally or three times nationally over the course of the semester, and several students made the trek to New Hampshire to spend time working for Presidential campaigns of their choice. “Campaigning takes many forms. 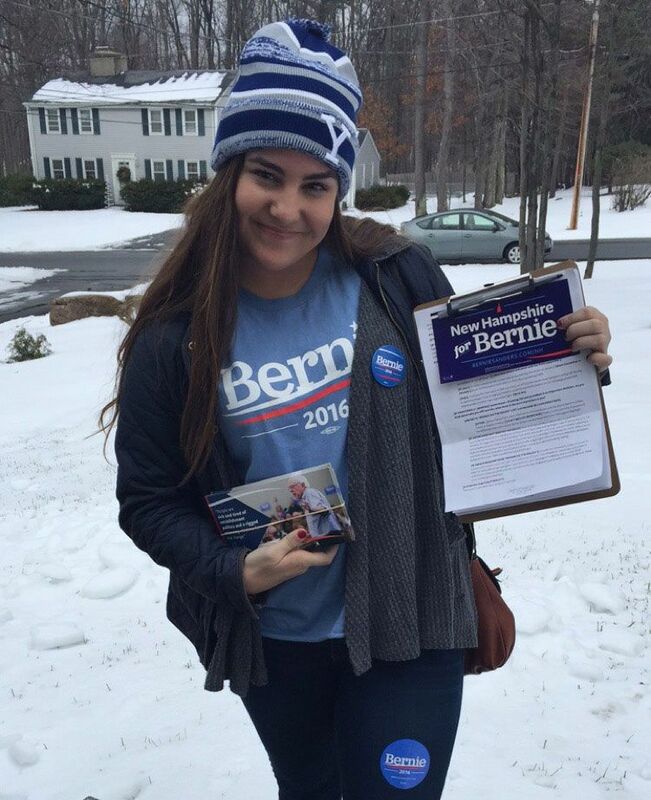 Most of the work I did was canvassing, which is going door-to-door and speaking with New Hampshire citizens about [Senator] Bernie [Sanders]’s agenda, the specifics of his policies, the current standings of polls, and encouraging registered Democrats or Independents to vote for him in the New Hampshire primary,” said Razor Managing Editor Sophia Cappello ’16, who canvassed for Senator Sanders. Another challenge was the volume of voters and data, and the work that goes along with juggling such numbers.